Most of the walks I lead are self-sponsored or sponsored by museums and civic organizations who open them to the public. 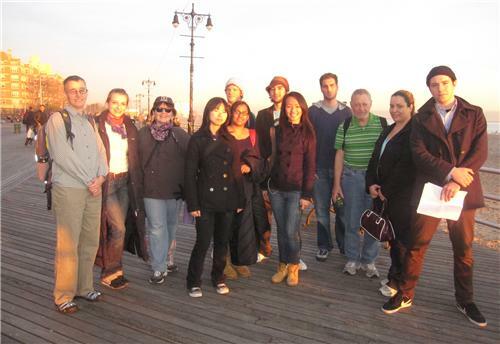 These walks, or similar walks in other parts of NYC, can be customized for academic, professional, senior, or social groups. Walks can be incorporated into a convention program, be part of a high school or family reunion, illustrate a college curriculum, or simply provide an enjoyable outing and contribute to a group’s camaraderie. Day trips: I’ve organized bus excursions combined with short walks for day trippers coming from the New York metro area and beyond. Social: I’ve organized walks for family reunions in Astoria, Long Island City and Richmond Hill. This works best in Queens where my memory span is longest.